This photo just caught my eye. It's by local photographer and tango aficionado David Storm The dancers are the lovely Anabella Diaz Hojman and Mario Consiglieri who are currently touring Australia. I particularly like the way this photo captures the beautiful back and movement of Anabella's dress, and how well it coordinates with the setting! Even the spectators, who appear mesmerised by the performance, are well co-ordinated! Great composition and harmony. The photo was taken at Glebe Town Hall in Sydney last Friday night. 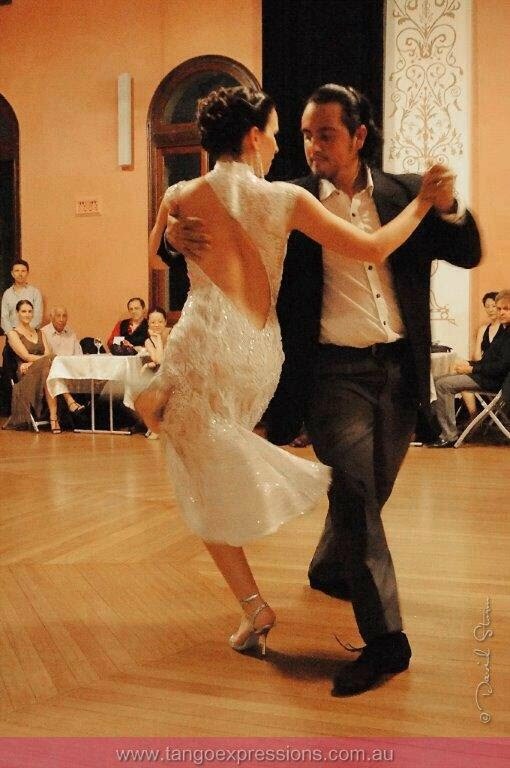 You can find more great photos of local and visiting tango dancers on David's website.